If you love warm winter scarves, you'll love this one even more. 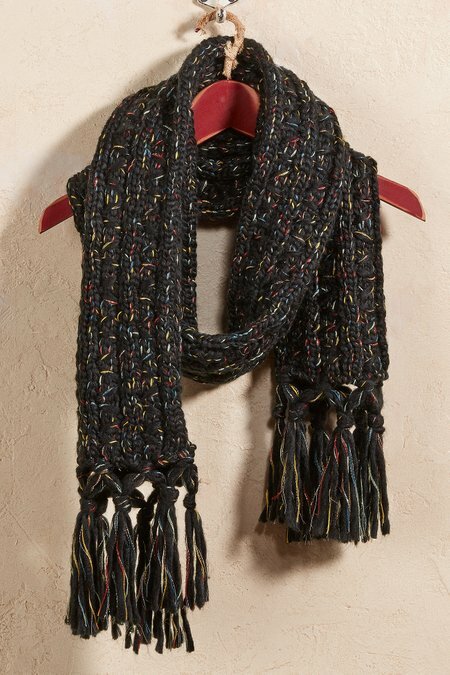 Marled tones and a chunky, textural stitch are finished with hand-tied tassels. Pair it with its soul mate, our Aimee Marled Hat (#1BM38) and be cold no more. Acrylic/Poly/Other Fibers. 63" x 10".